The Pursuing Private Practice for Intuitive Eating e-course will help you go from newbie to CONFIDENT BUSINESS OWNER and take your own business, TAKE IT TO THE NEXT LEVEL. This course is designed to show you how to start a private practice specializing in Intuitive Eating, grow it into a successful business, and be in charge of your own career destiny. There will be plenty of support along the way! Click here for all the details on the course. FREE Training: 5 Secrets To Get More Clients To Your Intuitive Eating Private Practice Discover 5 "Easy to Implement" tactics to GROW your Private Practice … Access the training about Free Training: 5 Secrets To Get More Clients To Your Intuitive Eating Private Practice. I wanted to open a private practice for a while, but I had no idea where to start and it seemed so overwhelming. The way the class is broken up into sections allows you to learn at your own pace and helps with the overwhelming feelings. I do not think it is possible to finish this and not feel more confident about starting a private practice. And if you do still have questions after listening to all the modules, the monthly phone calls are perfect for asking those questions. I highly recommend this for anyone who wants to learn more and feel more confident about starting their own practice. My business has really taken off. 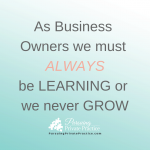 Before starting private practice, I had bought a few books on the subject, but reading all that information just felt discouraging and overwhelming. This online course was a much easier what to digest the essential information I needed to know to get my practice moving, and the workbook kept me on track. There is also encouragement to get you through the ups and downs of starting a private practice that books didn't seem to offer, and when those down moments happened and I felt like I wanted to give up, I could reflect back on her words of wisdom to keep me going. Jennifer's PPP Facebook group has also been a great source of knowledge and support, and I've been able to learn from others as well as her in the group. I can happily say that a couple of years after doing this course, my private practice is a viable source of income for me, and I know that what I gained from this course was very much a part of that. Peer supervision is something I wish I had started much earlier in my private practice! Jennifer's advice and guidance always comes with compassion, and helps me understand client issues from different angles and perspectives. It has helped me to provide more meaningful sessions to clients, and be gentler with myself when I don't have all the answers.